WOW!! Not your mom’s Beauty and the Beast ! Just wow! 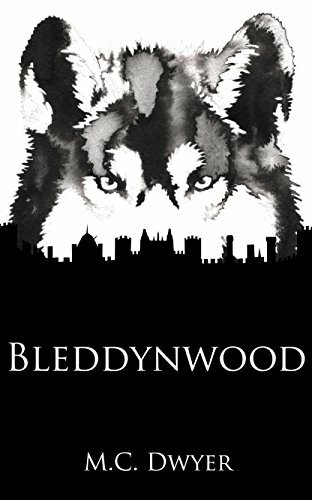 Having read Dwyer’s stories in Still Waters: A Noblebright Fantasy Anthology and Fell Beasts and Fair: A Noblebright Fantasy Anthology, I grabbed Bleddynwood the minute I saw it was available. I am a sucker for Beauty and the Beast retellings! I’ve read so many, I can’t even name the all. Some have been disappointing and some became staple re-reads that I wore and bought over and over. (Thank goodness for ebooks!!) I was SO pleased with this retelling. I cannot remember when I was so taken with a new Beauty and the Beast. There is so much original and so much depth here. Bleddynwood is not your usual Beauty and the Beast; that’s just a fraction of the story. Bleddynwood starts out with us meeting Amaranth as a bookish child being picked on by the other village children. The story travels in original twists as Ammy grows up, leaves her family and farm to live with a rich elderly aunt and learns to fit into high society in the city with new opportunities, until her brothers and her father are compelled to enter the forest. Ammy, who has heard the voice of the forest, knows it still calls her and that she’s the one the Bleddynwood Beast really wants. Amaranth/Ammy/Mari chooses to take her brothers’ and father’s place and finds an affinity for magic as she lives her imprisonment with the Beast. The story really takes off even as the reader reaches the point where the usual story would end. It’s telling that this point is only 47% into the book. Amaranth must continue to pursue her magical studies, dare the wilderness multiple times, face down dire beasts and dragons on her journey to free everything and everyone she loves from a curse that has lasted centuries. This is not a simple, sweet bedtime story, but an arduous journey through a land and magical landscape fraught with peril and loss. The world-building is fantastically believable, the magical system original and fitting, and the characterization wonderfully complex. This is not an insta-love or easy-answer fairytale. This is what real feels like when you’re dreaming. Rich tapestries of personalities and multi-layered stories strewn with veiled insights on human condition woven into a satisfying whole. Pros: Yep! Lots. See above. 😉 Love the cover! Did I mention I’m a sucker for Beauty and the Beast. Another book added to my re-read list. Cons: I’d like to see this have another copyediting pass. There are multiple misplaced commas. Other than that, I didn’t notice errors. Easily ignored and not a deal-breaker. Much cleaner than the average indie book! If you love Beauty and the Beast reimaginings, fantasies, or just ingenious storytelling, you’ll enjoy M.C. Dwyer’s Bleddynwood. Highly recommended. Grab it! The Bleddynwood had brooded, silent and grim, for over three hundred years. The villagers lived warily in its menacing shadow, taught from childhood to keep their distance and threatened with whispers of, “Behave, or the Bleddyn Beast will eat you!” But now it’s spreading, and one day it whispers Ammy’s name. When her father and brothers are drawn into the perilous forest, Ammy has to decide how much she is willing to sacrifice to save her family—and what she is willing to become to save the Beast. So begins the journey that will take her from her village and lead her through the high society of Ravenna, the royal court of King’s City, and into the very heart of the Wild Lands.